It’s that time of year again! 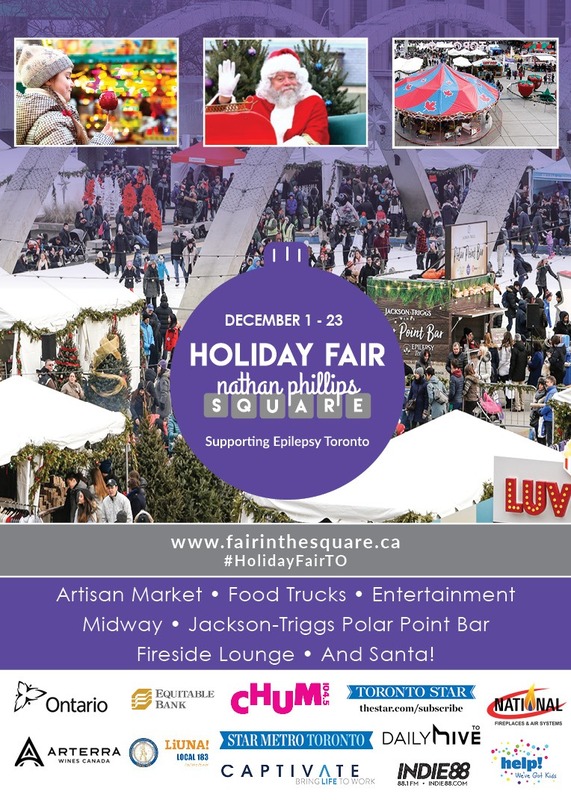 Holiday Fair in the Square in support of Epilepsy Toronto is returning downtown Toronto to Nathan Phillip’s Square from Dec 1 – 23. Holiday Fair combines the charm and elegance of a Christmas market with the excitement and allure of a thriving winter carnival. Now in its 3rd year, Holiday Fair includes an open-air Artisan Village, tasty Food Trucks, Fireside Lounge, Polar Point Bar, visits with Santa, a Midway, live entertainment and more. Located next to the Nathan Phillips Square skating rink, Holiday Fair has something for everyone. Visit https://fairinthesquare.ca/ for times and additional information. We are looking for volunteers to help with various tasks on the weekends, such as collecting donations for photos with Santa. If you are interested in getting involved, please email Lindsay at volunteers@epilepsytoronto.org. Please note these are outdoor shifts only, located in Nathan Phillips Square.